It’s been a long time since I wrote anything about my past days. I think you know how much eloquent is me when my topic of writing is about the early days those were at the brink of forgetfulness. But, I think at least through this useless chronicling of my mesmerizing olden times, I can keep my fading memories alive. This time the story is about a person whom I met when I was in Trivadrum during my initial days there. He was very funny, and dominating with some leadership qualities. I think I have told you about my admiration for taller persons, germinated during my growing ages when I was treated by others as a short guy. We both became befriended very easily and smoothly, and at the end of everyday, we used to have our evening jaunts together through the city in the process of acquainting with its many newly found curiosities. Before narrating the story, let me tell you something about my commercial partner CouponDunia. I know many of you have already come to know about Google’s Great Online Shopping festival. 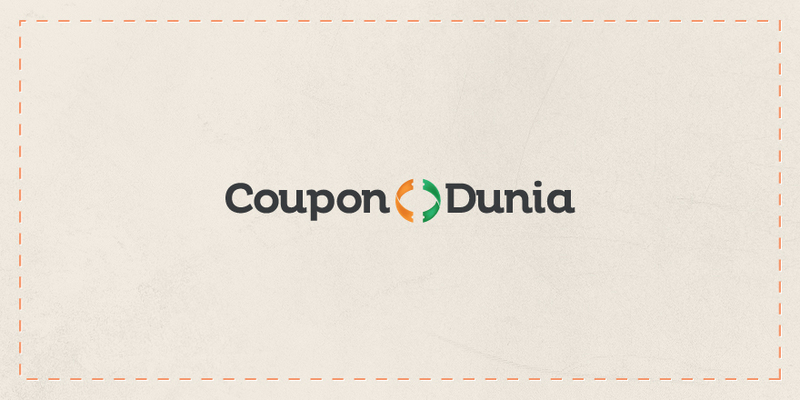 Yes, the CouponDunia will be running a GOSF campaign in December with some of the best offers of the year. So, do check out their GOSF Coupons. By the way, they recently opened up in Brazil too. Appreciable right? Check out their Brazilian site for Cupom de Desconto Efacil (Efacil Coupons). Let me come back to the story. After our months long staying together, we both parted, but the contact was active. We used to meet each other, whenever he came to the city, and at one time, he had forcefully got me out for a ride during my office time, while he was on his occasional city visit. That time his purpose was to buy a cute little puppy from a pet shop located at some distance. By that time he got married, and our attachment was getting faded. Our calls became very rare and less frequent. However we were connected through occasional mails, and seemingly meaningless activities through social networking sites. On one night, when I was fast asleep, I was woken up by my cell phone ring. I had developed a habit of waking in the early morning, when my hostel mates were sleeping, in order to go on with my routine gymnasium visits. So, early to bed, and early to rise had somehow become my life policy, (though I rarely follow that policy nowadays). I stretched my arms to get the cell phone in my half sleep state, might be the Non-REM state, I think I might have been sleeping without seeing any dream. Seeing my friend’s name on the cell phone, I attended the call, thinking what hell had made him dial my number at that unnatural hour. The time was between 1 and 2AM, so you can imagine what a sleep loving young man might be thinking at that time. I could hear him breathing heavily, but I failed to identify whether it was because of tension or happiness. “Why brother? What happened at this hour?” I asked without hiding my irritation. “Boy, I have become a father. My wife has just given birth to a baby girl. Oh she is so cute little one”, he said while struggling to get breath. “So? So what? Is it the time to call me to tell such simple matters? You call me at this hour to say such silly things?” My voice was very rude, though I didn’t realize it. “Yeah man, you are the first one I call up to share my joy. Only your face came to my mind”, he said apologetically. I doubt whether I had congratulated him. But that call didn’t last long. I cut the call, and returned to get back my lost sleep. Only the next morning I realized the serious mistake I made while treating my friend. It took a lot of time for me to realize how valuable my friendship was for him. My friend, I don’t know whether you remember this. My deed was indeed beyond forgiveness. But, still I am wholeheartedly apologizing for the mistake that I committed. Please forgive me! Won’t you? This year it will be more and more interesting with great offers. Check out the best coupons and deals for GOSF 2013 coupons on with well organized page.